OptionAction is a Option Analysis tool which lets you to build and analyze option strategies for Indian Stock Markets. 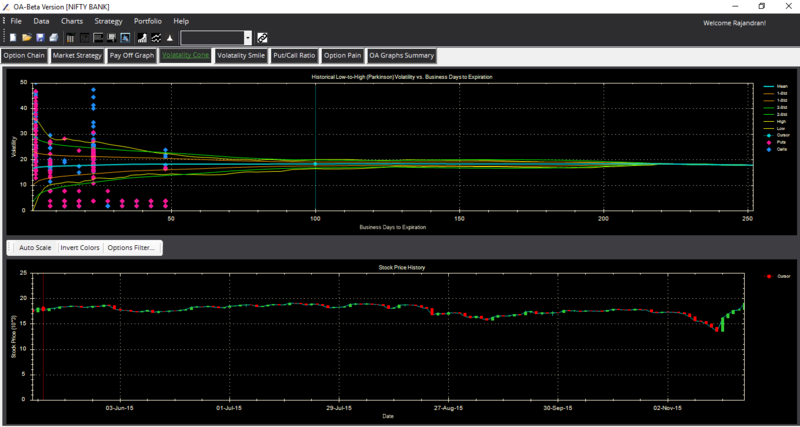 It provides most of the analytics required for a option trader to practice and implement their option strategies. 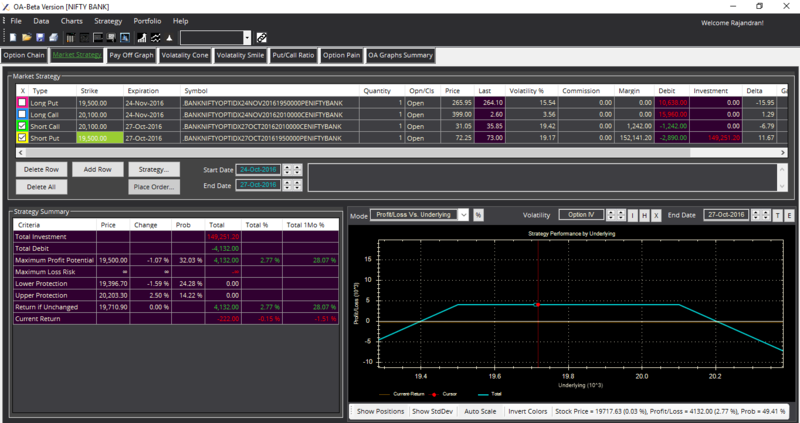 Though it is a simple tool with cool UI interface you can build any complex option strategies with the available pre built option templates. 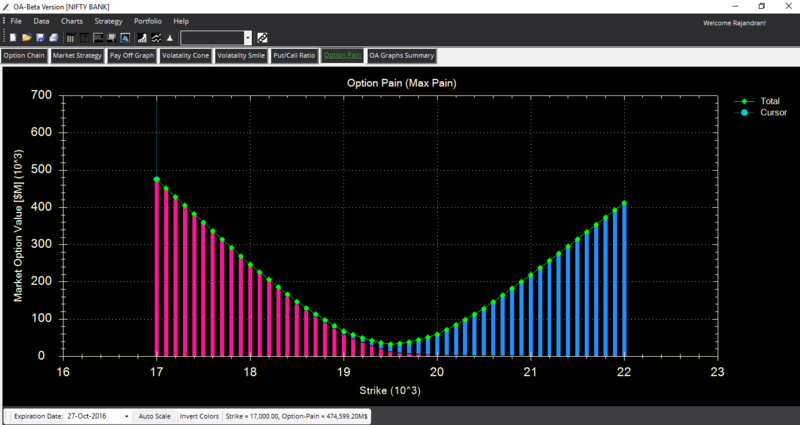 OptionAction comes with features like Option Chain, Option Greeks, Option Strategy Builder, Option Greeks Calculator, Option Pain, Put-Call Ratio (OI & Volume), Open Interest look up, Volatility Smile, Volatility Cone and much more features. 2)Open OptionAction. It opens the registration page. Give your registration details and register. 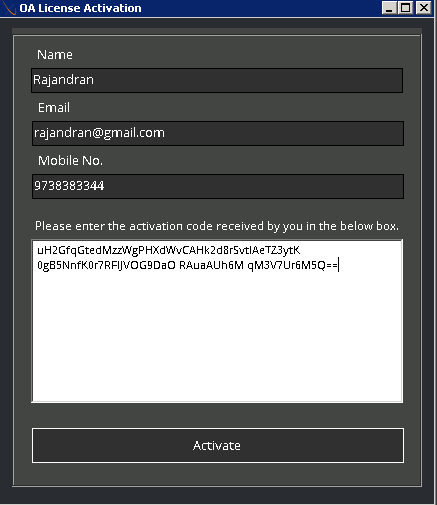 This will send you the activation key details to the registered email id. 4)After successful license activation. 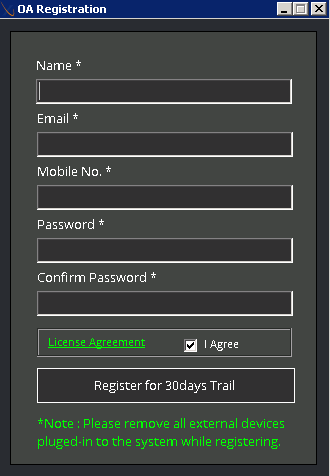 It ask for user credentials. 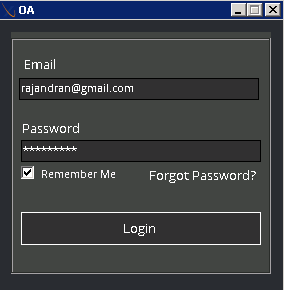 Enter the login credentials which you created during registration and press Login button. 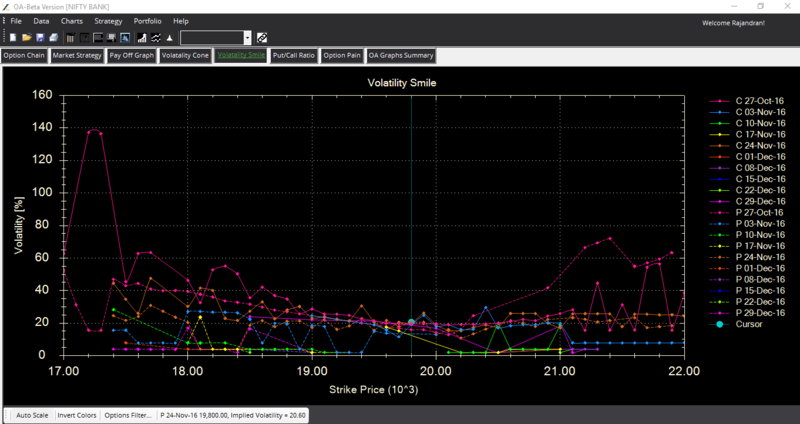 1)Neat and Cool Option Chain tool with Option Greeks, Implied Volatility, PCR Ratio (OI & Volume), Type and Search Symbols. It also computes total PCR ratio for the entire option expiry contracts or individual expiry contracts. By default it computes Total Put-Call Ratio for the entire expiry contracts. 2)Market Strategy is where one can build their option strategy either manually or with custom prebuilt templates (click on strategy button to get pre built templates). Once the strategy is built you can immediately analyze using strategy summary and payoff graph analyzer as shown below. 5)It also summarize the overall strategy with All in One Dashboard which gives you the bird eye view to the market condition and strategy overview. For support or resolving bugs one can raise their queries at OA Desk forum. Overall a good tool to try with. 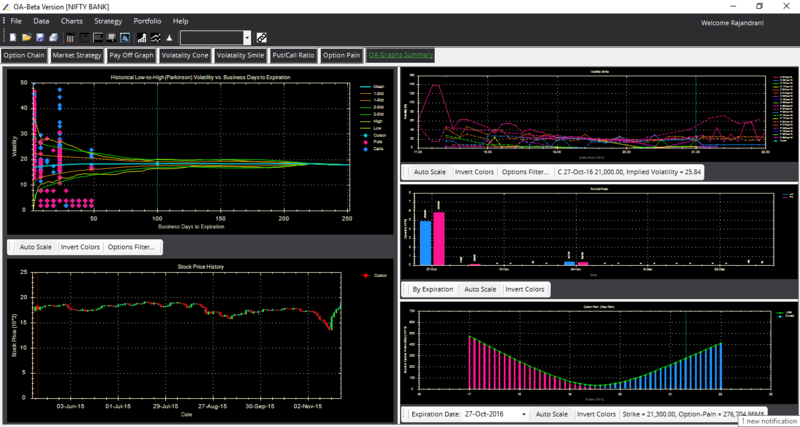 Hope the developers who engaged with OptionAction comes with lot more interesting features and analytical dataset. 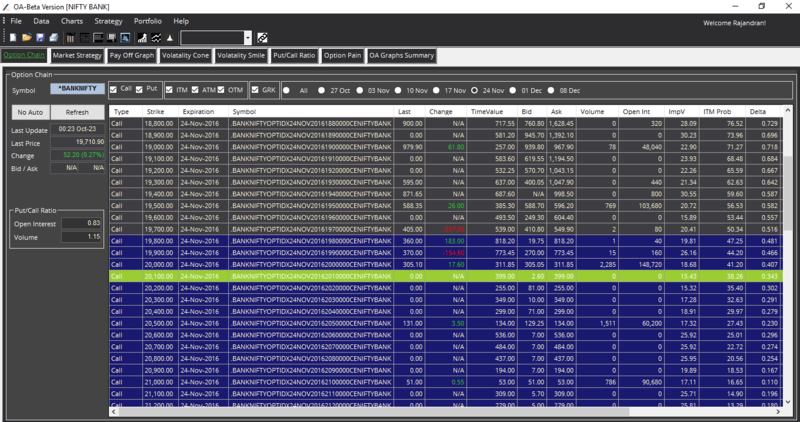 Bear Call Spread and Bear Put Spread – Amibroker AFL code Download Bear Call Spread and Bear Put Spread - Amibroker AFL code to monitor the Option Spread Stragies.